I haven’t written a review in a while. Mostly because a lot of the films I’ve seen have really disappointed me (some of which were highly anticipated and from directors I typically hold in high regard) and I don’t like writing negative reviews. I feel more energized and excited and better all around when I can say a bunch of positive stuff, I also love being able to share the experience and say, “Hey, you should see this.” I find it much more valuable than finding out which movies to steer clear of. Also, if someone likes a movie I don’t, that’s fine. I’m much more inclined to argue my point if someone doesn’t like a film I am particularly fond of. I haven’t only seen bad films, but nothing lately has really compelled me to write about it. 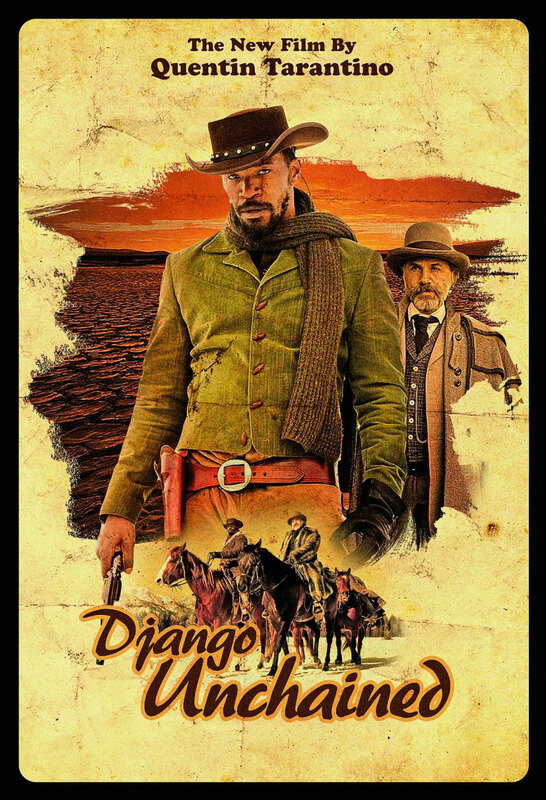 Not long ago I saw Django Unchained. I had an absolute blast. Tarantino is just a master and so full of passion and fun and whimsy in addition to being able to create such polished and consistent drama. It tires me out thinking of all the great things I can say about QT and his work and his work really transcends anything I can say about it at this point. At least that’s how I feel. Sure, he has his detractors, but he can handle them. The last thing I wanted to do after I saw Django was review it. I just wanted to see it again and maybe write Tarantino a thank you letter. I still might. Instead, I called my best friend to tell him what I did; That I had seen the film in Portland’s Cinetopia and that I watched it with Dechutes Chain Breaker Ale (chosen for both theme and deliciousity). Well, he hadn’t seen it yet, but we got to talking about other films including The Dark Knight Rises, which I had finally gotten around to renting. I told him the sad truth. I didn’t finish it. 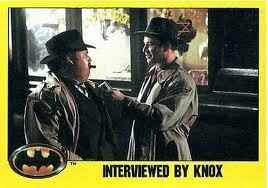 I turned it off and replaced it with my DVD copy of 1989’s Batman (Robert Wuhl FTW!). I wanted a real Batman movie, not whatever that was. 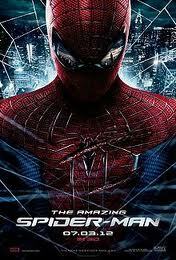 And I had plenty of complaints, but mostly it was just boring, convoluted, and ultimately lacked style. It may work for some, but not for me. I expected something consistent with The Dark Knight and TDKR is really just, passionless and overreaching in my opinion. So, then began our dispute about whether, or not it is okay to judge a movie before watching it in its entirety. He believes that a movie is meant to be seen as a whole and only after the entire story is allowed to play out should you be allowed to criticise. I understand that point of view. It’s wrong, but I understand it. The truth is, short of walking out of the theater and demanding a refund, you absolutely can and should be able to determine within minutes of the film’s opening if it is going to be worth the investment of your time. We do it with trailers all the time. They are supposed to hook us and make us want to see the film, but it’s also part of a screening process. 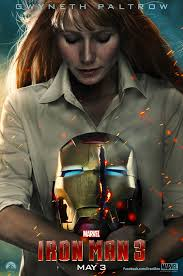 You are given a few glimpses of images designed to sell you on the movie, but they still have to use their movie to do it, so you can speculate from just a 30 second spot just how much potential the film has to be good. You can hypothesise whether all of the good shots from the movie were used in the trailer, whether you’ve been there and seen that, and whether there is enough depth, originality, humor, or vision to set it apart from its competitors. When I saw the trailer for TDKR my enthusiasm, already deflated by the Bane prologue I had seen, sank into complete disinterest. We as consumers have to weigh out the options just as production companies determine their next investments. If you want to write a screenplay, you can. Nobody can stop you. If you want to write a movie, you suddenly have a ton of opposition to overcome. The least of which is selling your vision to someone who thinks they can profit off of it, and that’s only after you’ve proven you can be taken seriously as a writer. That means you have to get the right contacts, you have to sell what people are buying, you have to compromise, you have to deliver. In short, you have to abandon the notion of “your movie” and give your investors the product they are after. Now, I’m not down on the system. It’s a business and it’s no better or worse than any other industry. In fact, I think it’s wonderful that art finds a way in the industry and you can find great work in studio productions as well as independent ones. 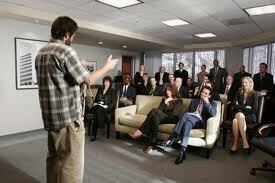 What I’m saying is it is hard, rigorous work to get in and establish a foothold in the business. You have to meet the approval of many and pass a series of trials to succeed, but that doesn’t guarantee a good product. For as much history that we have to refer to and as many how to guides that point out the basics of the craft of telling a good story it would seem that the ones who do the financing, still don’t understand how to differentiate between good solid entertainment and garbage. Millions of movies come out of the woodwork and we the consumers who drive the industry are left to determine what’s good and bad as though there were no screening process at all and anyone is free to just make and distribute a bad movie, no matter the cost. In most cases, it’s the indie films that really let me down. For one, they don’t have quite as much publicity, so I am usually going into it blind, whereas if they had been marketed by a big distribution company I would have been exposed enough to the film to determine if I thought it would be right for me. They also lack in production value and often are not directed with much finesse. It’s hard to say exactly where an indie film goes wrong because usually the whole cast and crew is somewhat inexperienced. You can’t always pinpoint if the writing is bad or if the actor just didn’t land it, or if better photography or more interesting coverage could save a scene that is flat. Still, I find the same problems in big budget actioners or comedies that I just find unwatchable. So indie films are no more likely a source of great art than “Big Hollywood” can be blamed for all mindless schlock. Here’s the thing: There are so many movies out there mainstream or not, and with several digital media platforms streaming an endless supply of potential entertainment, “consumer me” expects “film you” to get my attention and not let go, lest I find something much, much better out there to occupy my time. For as hard as it is for a good writer to get noticed, it is an insult to see much of the turds deemed worthy to polish and exhibit because of some x factor that might incite just enough interest to raise a profit. It becomes necessary, with such a saturated marketplace, to become a little more aware of the quality of product we are offered, especially when we pay to view such content. My first step in personally determining what movies I choose to watch was ignoring the stars. They are the easiest way to push a bad movie on an audience and they often have least to do with whether, or not the film is any good. They don’t even know how the movie is going to turn out, yet they are saddled with the task of mustering up enthusiasm in appearances on talk shows. The things I look to are the writer– because the script is the backbone of the film– and the director, because ultimately they determine the most of what the finished product will be. The better the track record the more the likelihood that a movie will be worth the ticket price. It’s unfortunate then that actors work so much more than writers and directors and your trusted handful of artists make so few appearances. Screenwriter Drew Pearce’s only feature film credits are all still in production. It’s also remarkable how often a high-profile tent pole, or other highly anticipated property is entrusted to writers whose IMDB profile credits them with only commercials and a short or two, or some relatively unknown television series. As a consumer, it’s hard to trust these resume’s when it’s obvious the studios are banking on the appeal and recognition of the property itself, such as the recent slew of Hasbro related films. Sometimes the producer has directing or writing clout that he uses while giving some young hotshot a chance. That’s very cool, but also a little tricky and not always reliable. 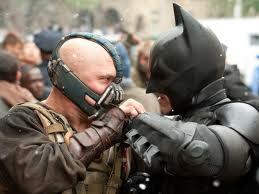 In the case of TDKR, Chris Nolan is the director who elevated both the franchise and the genre. He has a fantastic track record, but I also took a cue from the lack of willingness I perceived in regards to making a third installment. I felt as though he did not want to make the film, but either the money was too good or he was already under contract for a third. The role of the critic remains essential for helping to sift through all of the options. They watch it and tell you what you can expect. You find one of those that you trust and you are golden. When TDKR finally came out, the critics I read gave reluctant mixed reviews, indicating that the movie had indeed fallen short of the glory of its predecessor. 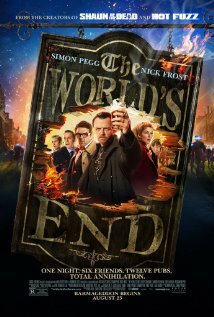 I again opted to hold off on watching the film which continued to show signs of disappointment. But the critic is just a guide, and if the movie in question isn’t high-profile enough it may go unnoticed by many. If you want entertainment now, as so many distributors promise, you have to trailblaze a little bit. This is where it helps to recognize quickly whether or not you may have stumbled on the wrong path. Again, it starts with scriptwriting and the process that so many readers at production companies and agencies go through just to pick that one promising gem out of the thousands of submissions. Some people may only request the first ten or thirty pages. That’s enough to see where the story is going or even if you have a story. My screenwriting mentor Jonathan O’Brien stated that he could tell in ten pages if a script was going to work, and usually his instinct would be right after the first page. If a page translates to a minute on-screen as it is supposed to then the same time frame should theoretically apply. About ten to thirty minutes in, you usually have enough of an idea where this movie is going to determine if you want to continue watching. That doesn’t necessarily mean you give up on it though and there are several reasons to continue to give it a chance. For one, the film may be very good at eluding your perceptions and preconceptions. It is entirely possible that a film is exceptionally good and you don’t know it until you reflect on it later. These movies you may downright loathe, but that feeling is rooted in uncertainty over what is being conveyed rather than the overall quality of the piece. I remember the first time I saw Fight Club, I was very uncomfortable and found it tedious at times to the point of near torture. 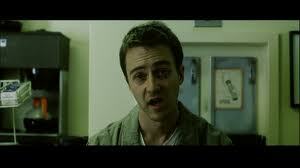 I had empathized so much with Edward Norton’s character that it really put me through the wringer and only near the end did I get the chance to appreciate one of the most rewatchable and influential films of my lifetime, certainly a personal favorite. If I had turned it off I’m sure I would be likely to catch it at some point years later and maybe have an entirely different experience. So judgement should not be considered final even if it is swift and harsh. 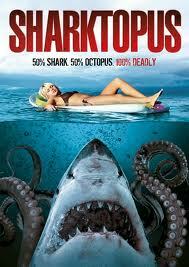 Still, this is not the type of movie I am referring to when I talk about “giving up” on a movie. You may have even a more passive experience that leads closer to boredom than anguish, just out of the uncertainty of whether there is indeed a story. Wes Anderson is one of my favorite filmmakers, but I have to be honest that I rarely “get it” the first time around. His movies are so subtle with such a slow burn. If you aren’t the stop and smell the roses type, it can be difficult to appreciate right off, but the craft is certainly there, buried among layers of atmosphere and keen observation. Only after I’ve finished watching one of his films am I really able to start processing all that I have seen in a manageable context. On the flip side, there are sometimes terrible movies, that are also at least good enough with craft, that even though you know it’s a mind numbing waste of time they manage to bait you into watching a littler longer and a littler longer until finally you reach the climax and before you know it your whole afternoon is gone. They tricked you. Because they had a basic understanding of formula, they were able to tell their mediocre story just well enough to keep you from looking for something else to do. 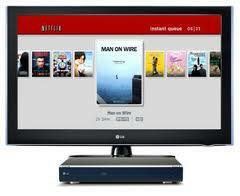 Popular opinion is the basic model we are expected to follow on sites like Netflix and amazon.com. Other viewers’ scoring based on a five star system indicates the average rating given to a particular movie. Unfortunately, right out the gate you can see a problem with the type of streaming options that are available. The large majority of instant options get one and two star ratings. Redbox offers cheap rentals, but mostly the same kind of sub par offerings with the exception of possibly a couple of good new releases and an occasional pleasant surprise. When you are streaming entertainment that is part of a monthly service fee, giving up on a movie is as easy as changing the channel. It’s harder if you’ve paid a buck twenty or up to four dollars to rent it. But that doesn’t mean I won’t do it. I’m serious about this. A two star rating might make you feel better about not liking a film, but by chosing to give it a chance you showed that you are capable of ignoring public opinion. If you turn that ability the other way and ignore high ratings as well it can be very freeing. Like critics, rating systems based on public opinion can be great clues, but they are not fool-proof. You decide what you want to see, but that power of decision doesn’t begin and end with pressing play. I would never write a review for a movie that I haven’t seen from start to finish. That is absolutely messed up. But I have judged several, movies often within the first ten minutes, thereby adding days to my life. I take the idea that a film should be judged in its entirety from a different perspective. Even if a film miraculously has a terrific ending that is massively inconsistent with its beginning, the beginning is still decisively bad. Even after finishing the movie on a good note there will still be that one thing–that it being horrible thing– that ruins it. So if you’re bored and no longer care how the movie ends, that’s a good indication that it not only is a bad film for failing to hold your attention, but there is really no need to continue devoting your time to it. After all, it’s there for your entertainment, and unlike a boring party guest, you can just shut it off and look the other way. Why would you continue to watch something that you already know is not working. Your rental money is already spent and will be waisted either way, might as well redeem what time you still can. 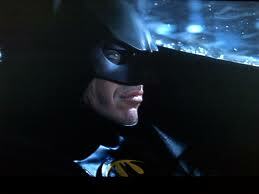 I gave about an hour to TDKR before pulling the plug shortly after Batman makes his unimpressive first appearance. I had been shuffling scenes and rewriting the film in my mind, from the very beginning. This was not the Batman I wanted to see and I yearned for a better adaptation, which is why I pulled out my copy of Batman and saved the evening with moody atmosphere, wonderful toys and one of film’s most quotable goofballs, Alexander Knox. People say that I missed most of the movie and that it all comes together, but most of them also agree that it doesn’t come together very well. I certainly didn’t want to see another two hours of what I had been watching and one hour is way too much time to hold off an audience before allowing a film to become acceptable, especially in the wake of TDK. Cutting your losses and saying goodbye to that rental money is the hardest thing. Judging a film you only partially watched is easy. It’s already been determined that it failed to entertain you. You paid your money and went in with good intentions. The movie started and set everything up and at some point you realized “this is really bad.” Why should you have to sit idly through the entire production just to feel justified in your feelings of betrayal? You shouldn’t. To me, that bad, used portion of the movie and the lack of motivation to continue watching is evidence enough. If you don’t like your Starbucks latte, you don’t drink the whole thing before complaining. 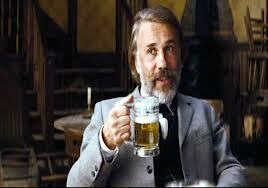 It’s better to say,” it was so bad I stopped drinking it,” than to hand them an empty cup and shrug. I had the surprising pleasure of watching the new Blu-ray Diamond Edition release of the classic Walt Disney picture Cinderella. This is one of the best told and most enjoyable of all of Walt’s fairy tale adaptations. Some of those long loved Disney Classics are so far removed from the direct to DVD sequels they’ve spawned that returning to those childhood favorites is a real treat. These films truly stand the test of time. Cinderella has all the charm, humor and beautiful artwork you can expect from Walt Disney, but it’s also one of his best animated features. I was never too interested in Cinderella, I remember some of the comedy bits, the suspenseful climax as the mice lug the key up the tower to rescue Cinderella before the Grand Duke leaves, and the songs, but I was more interested in The Sword in the Stone and The Jungle Book at that age. Returning to this film as an adult I am really able to appreciate the artistry and the very clean storytelling. The story of the little girl condemned to a life of servitude to her wicked step mother and two step sisters is filled with wonderful characters, visions, scenes and music that demands respect from an audience that has been exposed to recent cheaper takes on the Disney classics that lack so much of the heart and depth of the originals. It takes you through a typical day in Cinderella’s life as she trudges through her chores, but when the king announces a ball is to be held as a plan to get the Prince married she must try to find time in her busy schedule to prepare. Even with the help she receives from her mice friends, the Step sisters ruin her chance to go, but the Fairy Godmother arrives just in time, to give her the magical night that will change her destiny with that memorable song “Bibbidi Bobbidi Boo,”. One of my favorites is Cinderella’s rendition of “Sing Sweet Nightingale” in the bubbles while she washes the floors and the devious cat, Lucifer tracks dust all around her in the mean time. Among the special features, of which there are many, is a short documentary on the “Real Fairy Godmother” The woman the character was based on who later became the Fairy Godmother of Burbank, for all of her charity work. You’ll also be delighted to find the hilarious short “Tangled Ever After” featuring Pascal and Max as the ring bearer and flower– um… lizard. 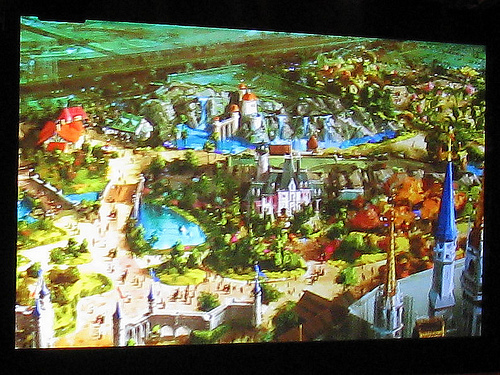 You’ll also get a sneak peek behind the scenes at the amazing expansion of Fantasyland at Walt Disney’s Magic Kingdom in Disney World. Let me just say it’s the best use of space since the creation of the park. 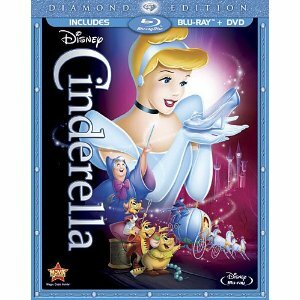 Buy Cinderella (Two-Disc Diamond Edition Blu-ray/DVD Combo in Blu-ray Packaging) from Amazon. I finally rented Wanderlust. Now, you have to understand that I am a big Stella, The State, and Wet Hot American Summer fan. I also enjoy David Wain’s web series Wainy Days. On the other hand, his humor can easily wear thin and his stock jokes are few and often used. I’m not saying I’d prefer another Austin Powers. It’s just that such a great talent with solid comedic skills is slightly diminished in the feature film format. Role Models was good. The Ten was lost on me. Wet Hot American Summer was his Citizen Kane and it will never be topped. Wanderlust has a couple of other things going for it, too. Some of the old cast from The State support the legendary Paul Rudd and the always nice to see Jennifer Aniston. These two are great together and are arguably the key to making the whole thing work. And it does work… but barely. The movie starts out really strong and very, very funny as a married couple makes the big decision to buy a “micro-loft” in the East Village. In the same day each loses their current/potential income and they are forced to sell and move in with George’s (Rudd) brother Rick (co-writer Ken Marino). on they way, they become stranded and stay at a B&B which as it turns out is a wacky commune. 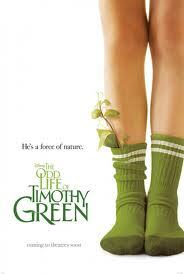 My first impressions of The Odd Life of Timothy Green was that it was okay. I didn’t feel inspired, or have the kind of emotional response I expected. Still, there wasn’t really anything blatantly awful or annoying that ruined it for me. * I didn’t love it, or particularly hate it, and I thought it had a few really nice scenes. After giving it some time to settle, I realized I did not like the movie at all. It has a promising concept that rests on that old “Disney magic'” we’ve come to love and accept. So when a kid grows out of the ground over night for a desperate couple who’ve planted a box full of their fantasy child’s dream qualities, you just go with it. Unfortunately, for as much heart as the little boy has, the film lacks depth and feels empty. Joel Edgerton and Jennifer Garner play a couple that can’t conceive. They want to adopt and at an evaluation they pin all of their hope on this story that they have to tell about Timothy. Now, on the night that they found out that their last-ditch effort to have a kid failed, they decided that before they gave up, they would write down everything that their kid would have been. They plant a box full of these notes, a storm comes and out pops Timothy. Eddie Murphy has had a lot of interesting roles in his time. Most of them were in one movie. 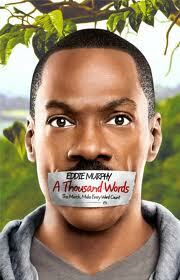 A Thousand Words is his newest comedy from Steve Koren (writer) and Tom Shadyack (director) of Bruce Almighty fame. While not as hilarious as Bruce, It’s still a very good movie. The comedy in the film is somewhat lost in the tension of the situation, but the story is very interesting and pays off, finally after a painful but entertaining character journey. Murphy plays Jack McCall, a fast talking agent who’s used to getting everything on his terms. He fits his wife and son in where it’s convenient and conquers his world by signing anyone who can build his personal empire. High on his own esteem, he sets off to sign a new age spiritual leader to sell his book, based solely on his large number of followers. When he talks his way into a deal, a mysterious tree grows in his yard over night that turns out to be connected to him. He soon discovers that every word he speaks causes a tree to fall and that once the tree dies he will too as everything that happens to the tree also happens to him. Jack struggles to refrain from speech and focus his thoughts into simple terms, resulting in anger and occasional outbursts that bring him ever closer to his looming fate. Meanwhile, his family and career fall apart and he is helpless to stop it. Ultimately, Jack’s efforts to save himself fail, but he eventually reaches an understanding of the guru’s philosophy and why he is so troubled. In confronting his past and releasing the anger he holds onto, a transformation occurs within and he experiences a sort of rebirth along with the tree which bursts into full bloom. As a fan of all genres that provide high quality entertainment and good writing, I am not the least bit twitchy about renting (or even going to see) a family film if I think it will deliver. Journey 2: The Mysterious Island is definitely one of those films. 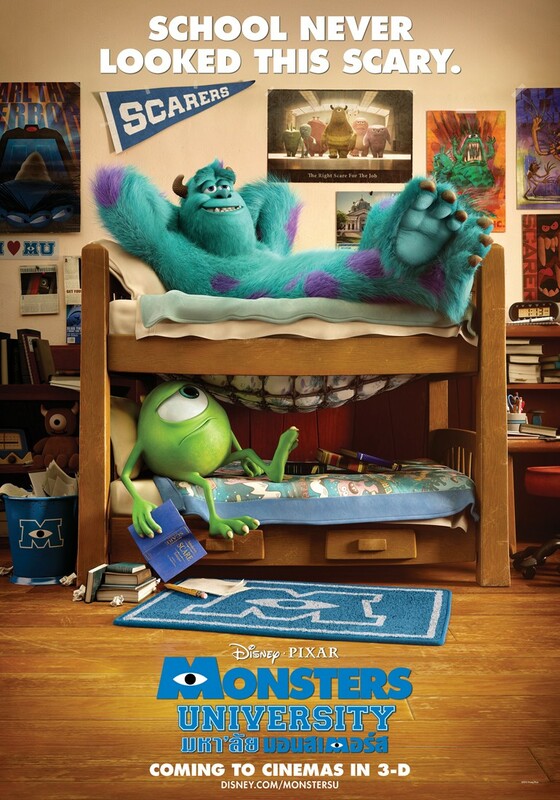 As a sequel it transcends the original with great humor that any kid at heart can enjoy. It’s a simple story about fatherhood, family bonds, and appreciating those you can rely on to be in your corner. Far from the typical storyline about oblivious parents who don’t understand their out of control kid, Journey 2 offers a refreshingly interested and helpful stepfather Hank (Dwayne Johnson). Despite being pretty much the perfect parent, Sean (Josh Hutcherson) and his grandfather (Michael Caine) refuse to accept him at first. Dwayne Johnson is always awesome and he brings everything to the table for Journey 2. Despite Johnson’s mass and proven comedic skills, the bulk of the comedy comes from other father in the film (Luis Guzman), the pilot who agrees to fly Hank and Sean to the island. His silly shenanigans are a delight and make this just a good fun movie to enjoy if you want some really light entertainment. Even though I never watched the TV show I was interested in how this movie was going to turn out. I just wasn’t curious enough to check it out in theaters. When it came out on DVD I figured it was a good rental for $1.20 at Redbox and I was very pleasantly surprised. I don’t think it’s franchise big, or even worth buying, but it is good solid entertainment, that is very funny and well crafted. It’s quick pace and reliance on the simplicity of the concept help the story to focus on what is important from an information stand point, and how to extract great comedy from those situations and characters alike. 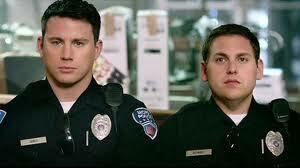 Channing Tatum and Jonah Hill are a great unlikely set of partners and the fish out of water effect on the guys discovering how high school has changed just a few short years after being students themselves is priceless. It’s a story about two guys who were very different from each other in high school join the force and learn to rely on each other and ultimately becomebest friends. That friendship is strained when an undercover mission forces them to reverse the roles they once played as real life students.